Commercial properties require both immediate attention and resources. 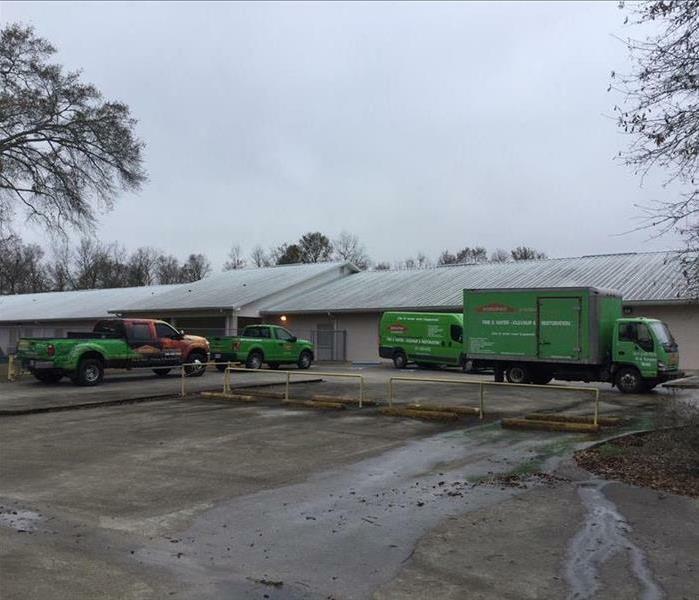 The commercial team here at SERVPRO of Slidell can provide both to limit any potential loss of revenue when a disaster strikes. Our service incorporates large fumigation, deodorization, cleaning services as well as mold assessment and remediation for commercial properties. At times, you may encounter issues that go beyond the scope of your in-house cleaning team. We make available to you our expert, IICRC qualified technicians to get your business back to work as quickly as possible. We currently cover all types of damages and have experience working closely with insurance adjusters as well as third-party general contractors. The techs were prompt and got right to work. They were pleasant and knowledgeable.